Founded in 1996, Point2 provides online marketing solutions for real estate agents worldwide and real estate organizations in North America. Point2's full suite of easy tools delivers more traffic, more leads and more sales to agents and brokers in over 85 countries. Websites, IDX, syndication, prospecting utilities and more, the platform offers the complete real estate marketing package. 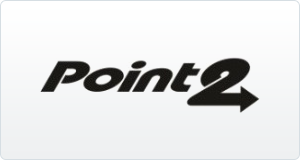 Point2 also owns and operates the consumer real estate search portal, Point2 Homes (www.point2homes.com).